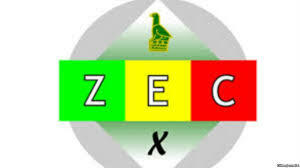 THE Zimbabwe Electoral Commission (Zec) has dismissed reports that it is employing serving members of the Zimbabwe Defence Forces following a recording circulating on WhatsApp of someone claiming to be working as an undercover soldier within the Commission. Zec also said its use of bulk messages to confirm registration status is not for purposes of rigging the upcoming harmonised elections. In a statement, the Acting Chief Elections officer, Mr Utoile Silaigwana, said the SMSs were meant to make the verification process easier and not scrap people from the voters roll as alleged by others. “Members of the public are hereby advised that the commission has no serving soldiers in its employment and it is false that the use of the USSD code *265# to confirm one’s registration status is a ploy to flash out certain groups of registrants from the Provisional Voter’s Roll. The use of the USSD code and SMSs are initiatives to make one’s registration easily verified,” he said. Mr Silaigwana said Zec will not hesitate to bring offenders to book. “Zec is warning those purporting to be part of the electoral management body staff that they risk being prosecuted hence they should stop this practice,” he said. Mr Silaigwana advised the public to ignore the WhatsApp messages as the commission does not use Whatsapp to communicate. “Sections 32 and 33 of the Electoral Act clearly state the circumstances under which one’s name can be removed from the voters’ roll either through death, objection or in the case of multiple registrations,” he said.